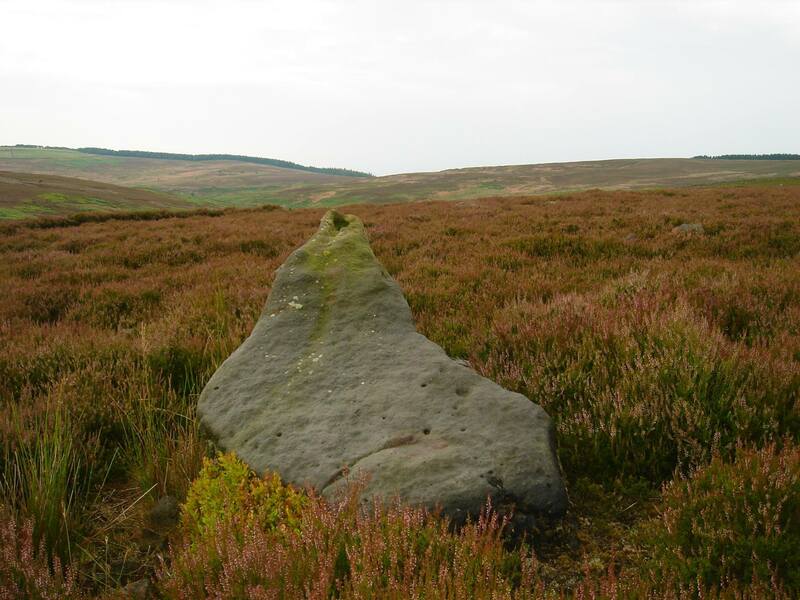 The “Sacred” Vale of Mowbray – Brigantia’s Neolithic Capital? 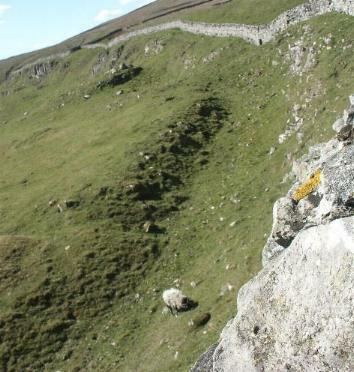 More than 2,000 years before the discovery and widespread use of Iron an unprecedented bout of monument building in the centre of Brigantia created the Britain’s largest religious monument complex, a place that has been suggested as being Britain’s religious capital during the Neolithic Period. Whatever it was, these monuments were amongst the largest in Britain and will have been an important part of Brigantia’s cultural heritage. The first monuments erected within the Vale of Mowbray were the cursus monuments. 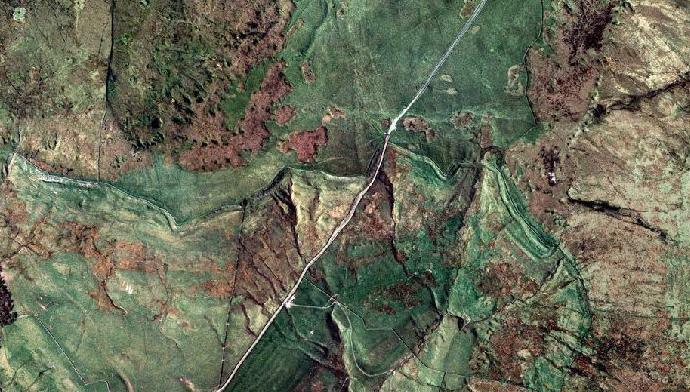 The largest cursus in the north of England was Scorton Cursus, this was over 2.1km long and is now mostly destroyed by quarrying. The other cursus,Thornborough Central Cursus was smaller at approx. 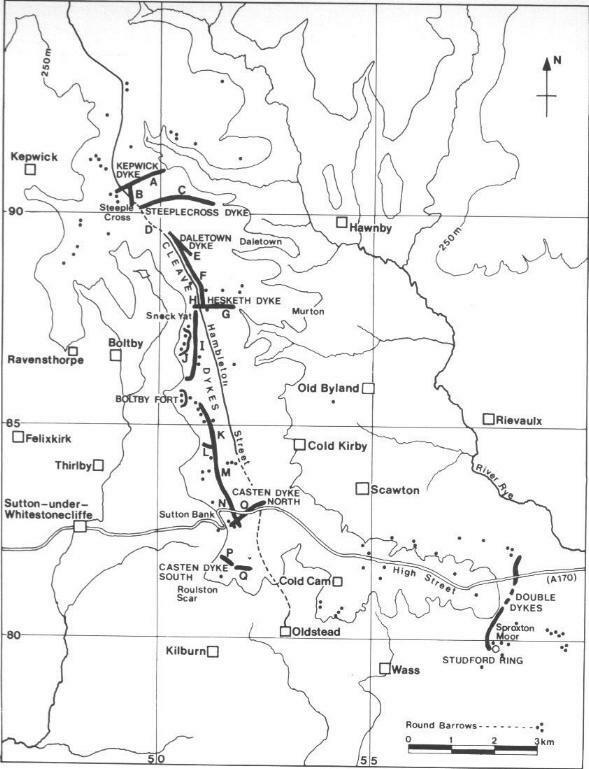 1.2km and is now mostly destroyed by quarrying. These are seen as the first communal ritual monuments ands clearly mark out an area that is interpreted as being “ceremonial ways” – places for processions. 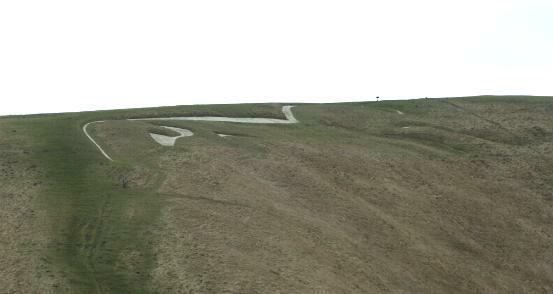 Cursuses often are associated with a number of funery monuments, as can be seen at Scorton – a number of barrows cluster round it. At Thornborough the cursus is close by a Neolithic mortuary enclosure – a place for the laying out of the dead prior to burial. The cursus monuments, though these have yet to be dated, are believed to date from around 3,500 BC. 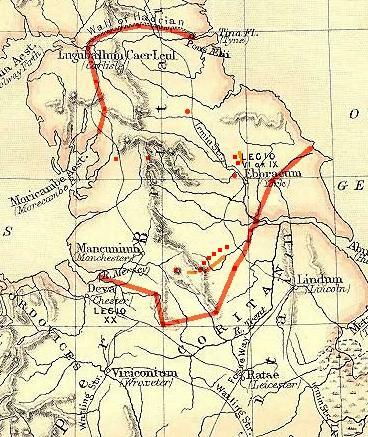 These cursus monuments created within the area two sacred spaces that in many ways define the area of the “Sacred Vale” – each is associated with a river – Thornborough/Ure and Scorton/Swale – these two rivers join at Boroughbridge to create a clearly defined region that in later years was to become a very significant place. Around 3,000 BC, the Sacred Vale was created. 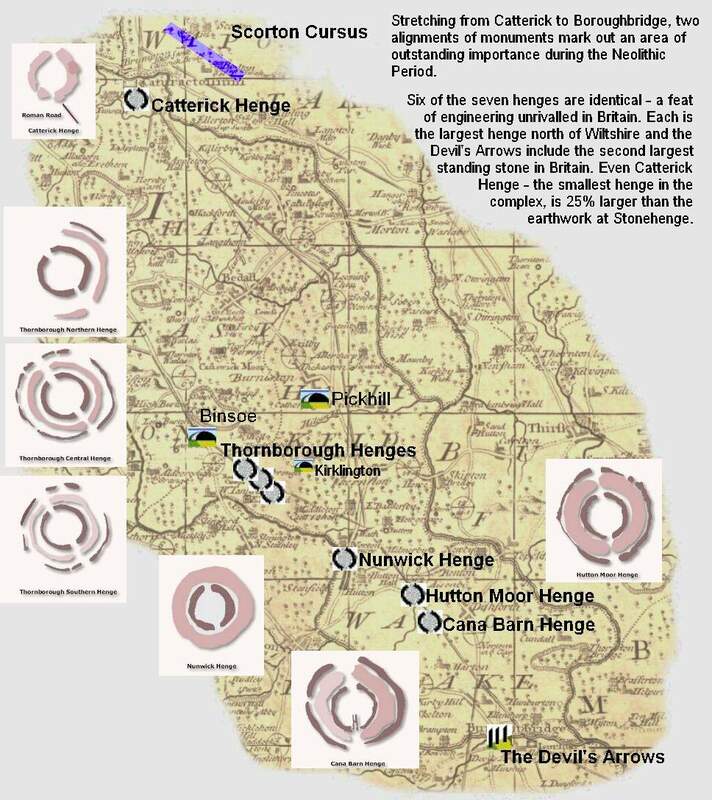 The critical locations of Thornborough, Boroughbridge and Scorton (via Catterick) were linked with two great alignments of henges. In all, at least six henges were built – The three at Thornborough, Catterick, Hutton Moor, Nunwick and Cana Barn. 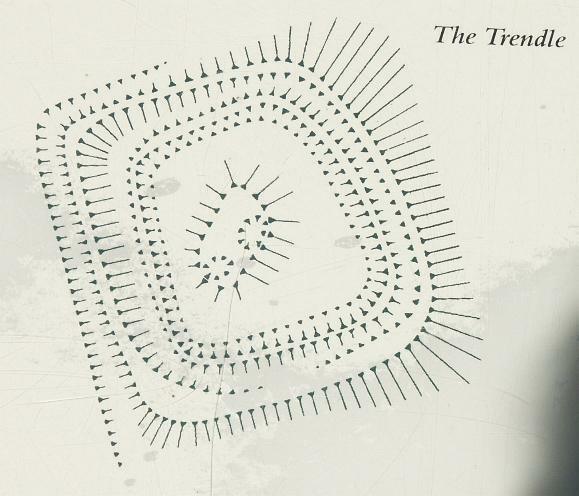 Catterick was the smallest henge in the Vale at 100m in diameter yet this is still one of Britain’s largest henges. The three henges at Thornborough and those at Hutton and Cana were possibly as large as 300m in diameter originally and had an outer bank and inner segmented ditch that created multiple entrances, this created the largest concentration of henges in Britain and was the largest building project attempted during the Neolithic as far as we can tell. “Inspired by these differences between the Roman forces and by the many rumours of civil was that reached them, the britons plucked up courage under the leadership of Venutius, who, in addition to his own natural spirit and hatred of the Roman name, was fired by his personal resentment towards queen Cartimandua. She was ruler over the Brigantes, having the influence that belongs to high birth, and she had later strengthened her power when she was credited weith having captured king Caratacus by treachery and so furnished an adornment for the triumph of Claudius Caesar. From this came her wealth and the wanton spirit which success breeds. She grew to despise her husband Venutius, and took as her consort his squire Vellocatus, whom she admitted to share the throne with her. Her house was at once shaken by this scandalous act. Her husband was favoured by the sentiments of all the citzens; the adulterer was supported by the queens pashion for him and by her savage spirit. So Venutius, calling in aid from outside and at the same time assisted by a revolt of the Brigantes themselves, put Cartimanua into an extremely dangerous position. Then she asked the Romans for protection, and some of our auxiliary troops, cavalry and infantry, after meeting with indifferent success in a number of engagements, finally succeeded in snatching the queen from danger. The throne was left to Venutius, the war to us.” Tacitus (Histories iii, 45). Tacitus, Roman historian of the 1st Century AD. has provided us with most of the written history of the Brigantes at the time of the Roman conquest. The above text, written about a time when Nero had fallen and Rome endured several emporers in one year – AD69 clearly illustrates the date when Venutius finally became king of all Brigantia. The few references thast we have from Tacitus and other Roman authors provide a dim glimpse of the events that surrounded the Roman conquest of Brigantia, yet the story is a tantalising one, a tail of royal adultery, power struggles, revolution and conquest. Brigantesnation.com began life as an experiment to see if it was possible to recreate more accurately this lost history of Brigantia, to see if recent developments in archaeology could help fill the gaps left by those ancient authors. This map outlines a postulated border for the Brigantia of Venutius in AD69. By this time Venutius had ousted Cartimandua from her throne and was King of Brigantia. A small area to the south shows the territory already lost to Roman rule. 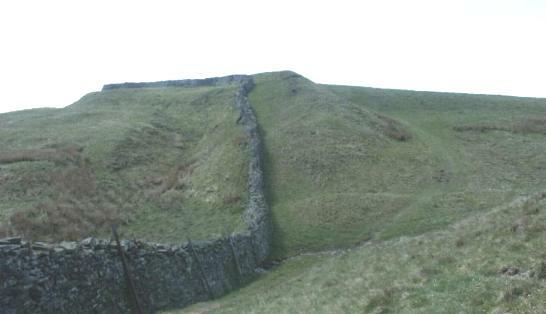 In order to verify this border, this research attempts to locate the defences that Venutius set up in anticipation of the Roman advance. The map has click zones which identify major military sites available to Venutius, although many have date yet to be proven, most can be demonstrated to be pre-Roman, and therefore available for use. The southern border, shown in red, complies with the Roman frontier, as implied by fort locations and other dating evidence. 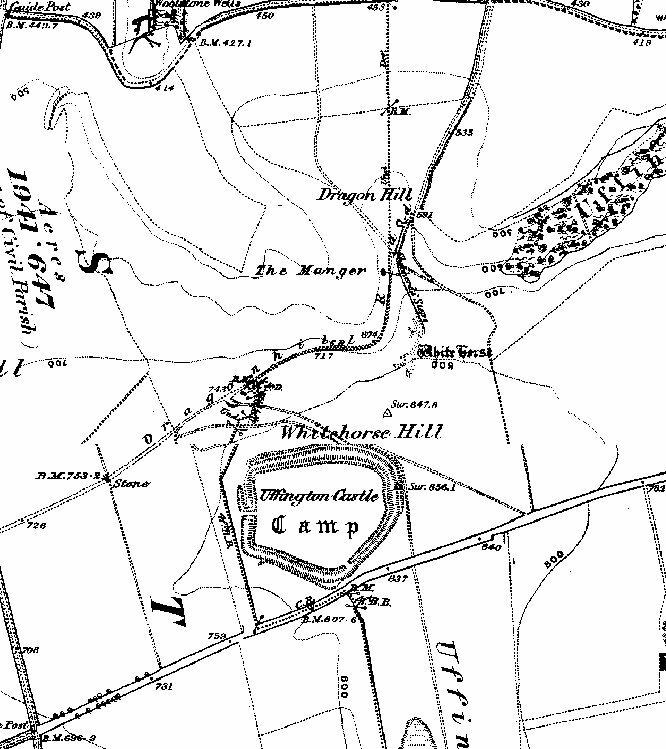 “on the north side of the river, over against Templeborough, is a high hill, called Wincobank, from which a large bank is continued without interuption almost five almost five miles, being in one place called Danes bank. 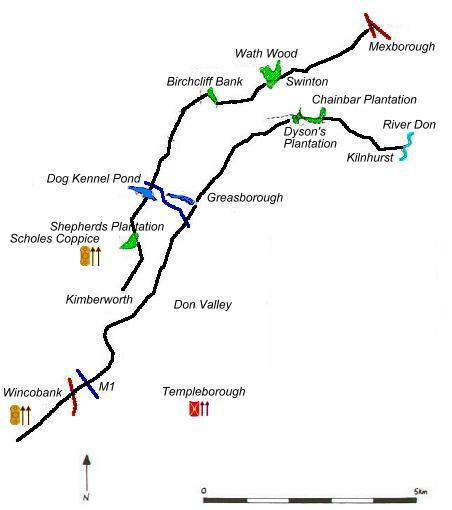 And about a quarter of a mile south from Kempbank (over which this bank runs) there is another Agger, which runs parallel with that from a place called Birchwood, running towards Mexborough, and terminating within half a mile of its west end; as Kempback runs by Swinton to Mexborough more nore” – Gibson (Camden’s editor) 1695. 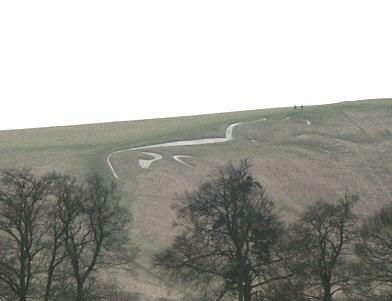 “Mr Leader tells us of a time when this earthwork was seen on the northern bank of the River Don, in Sheffield, near to the Wicker, in the region known as the Nursery, and so not far from the place where, much later than the date of the earthwork, was built the Lady’s Bridge, which probably had superseded a ford, with perhaps a line of leppings. At Neepsend, the Don was crossed by Leppings until the year 1795. From the Done, the rampart followed a course where there was afterwards a footpath, but that track became Occupation Road, known now as Grimesthorpe Road; and here Mrs Armitage becomes our guide, telling us that if we had to proceed to the Upper Grimesthorpe Road in her time, then, near to the point where the Osgathorpe Road turns out of the Grimesthorpe Road we should have seen the first traces of this dyke. 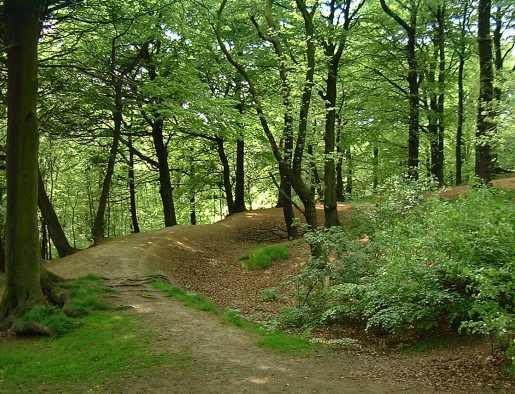 Here it was “gnawed away to its original course of stones, and very little of that; but follow it to the point where it descends the hill into the Grimesthorpe valley, making a sharp turn to the left, and it will be found as perfect as anywhere on its course. 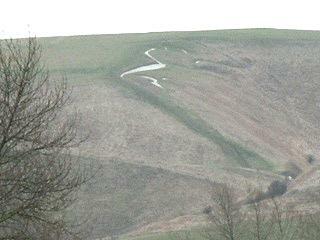 “The dating of the ridge is very ambiguous, as none of the excavations have lead to any firm dating evidence. The only dateable evidence to emerge from the excavations was a rim fragment of a hammer head mortarium. type 3b’ (Greene & Preston 1957. 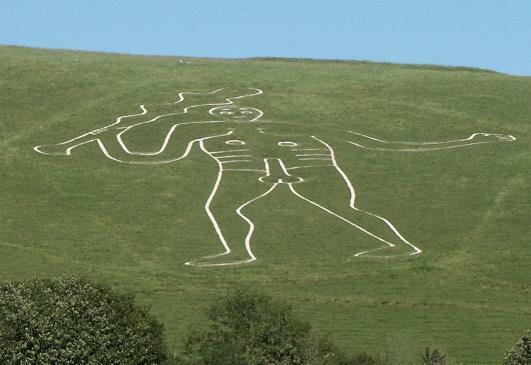 27) which appeared in South Yorkshire circa A.D. 270. The sherd was found on top of the secondary filling of the ditch, suggesting the feature had fallen into disuse by the time the sherd was deposited, although how long after the construction of the ditch this was it is impossible to say. However this does not prove a pre-Roman or Romano-British date for the ditch as the sherd could have been incorporated into the ditch fill even if the ditch was constructed at a much later dale. Other dating evidence has been found; the antiquarian Addy (1893) mentions that the Blackburn coin hoard – a hoard of thirty coins dating to the first and second centuries AD found in 1891. had been found buried under a flat stone in the ditch of the ridge. However, the imprecise recording of these coins does not allow us to firmly date the ridge, although the find does strengthen the case for a Roman or Pre-Roman date. 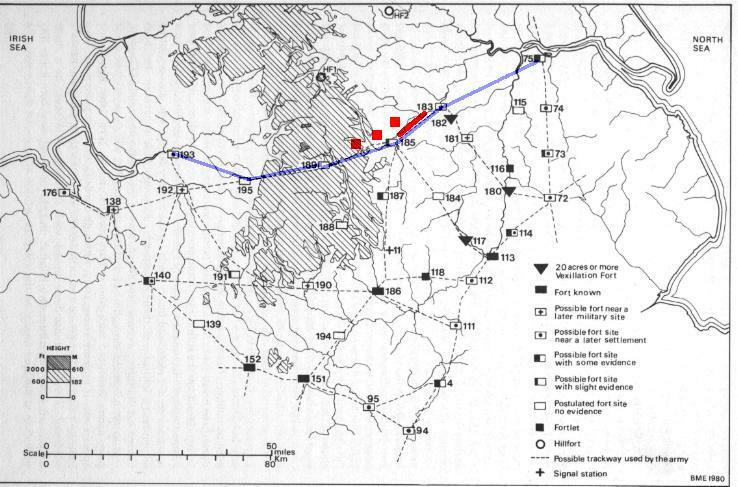 Fleming (1973) also excavated a section through the ridge in 1973, and obtained two samples for radio carbon dating. Sample A was given a date of 1670 BP (circa A.D. 280). whilst sample B was dated to 4040 B-P- (circa 2090 B.C) (AERE nd). However, the excavation archive was poor and the context of the samples is unclear. Sample A appears to have come from the bottom fill of the ditch, but Sample B also appears to come from the ditch, giving us two widely different dates for the same feature. There appears to be no way to clarify this disparity, and it is probably best to ignore the dates due to the poor records associated with their location.” Boldrini. 1999. Cerialis. and his successors, to pacify the Brigantes. 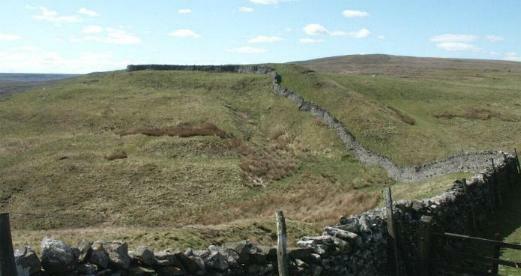 With this historical evidence, Ryder is tempted to see the Roman ridge as being built by the Brigantes as a border with the Romans or alternatively as some sort of defence against Roman attack. Whilst this would fit in nicely with the historical evidence, one must be wary of fitting archaeology to history, especially when daling of the archaeology is difficult. However, some archaeological evidence does lend credence to this theory. 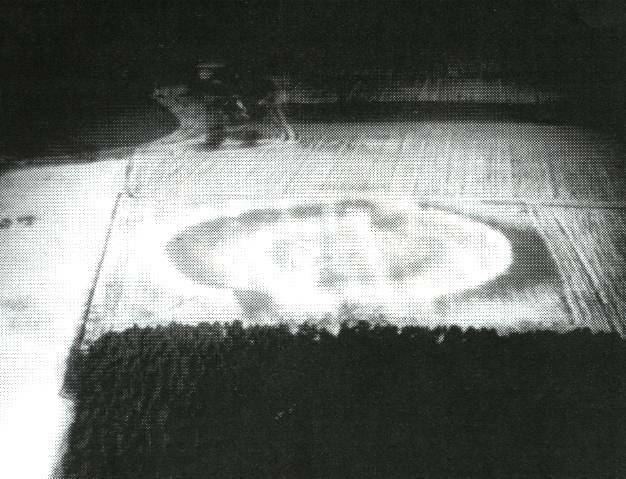 The crude construction of the bank without any form of revetting (Ashbee 1957) could be an indication that it was built fairly hurriedly, perhaps as a quick defensive earthwork by Venutius’ followers. 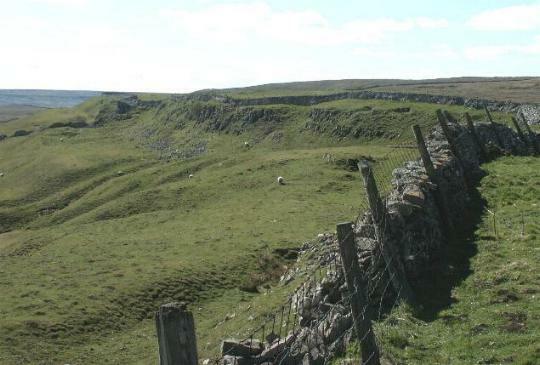 Furthermore, the fact that the ridge appeared lo have had a short use span (Atkinson.1994) would fit in to the timescale of the Brigantian evidence, which spans just under three decades from contact to conquest… …The proximity of Templebrough Roman fort, which has been dated in its first phase to 51-57 A.D. (May 1922). 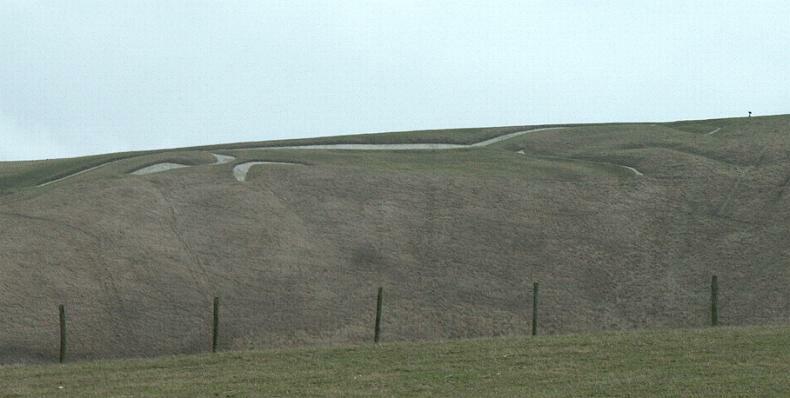 and the way the ridge could be interpreted as being built to face and dominate the fort, could be seen as suggesting that the construction of the ridge was a response to the setting up of this fort. If the ridge is interpreted in this way, this adds further weight to the possibility of a Brigantian date.” Boldrini, 1999. 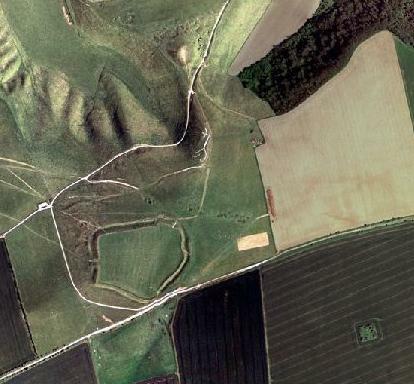 “Though not yet dated by excavation, these earthworks are likely to be pre-Roman perhaps part of a defensive system dug by the Brigantes against enemies (Romans or other natives) advancing from the SE. They follow fairly low ground, never far from the river Don. They start about SK358880, run as a single earthwork NE through Grimesthorpe, E of Wincobank hill-fort to Hill Top (SH 397927). 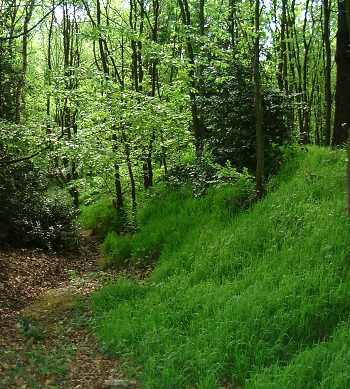 Here they fork, the W branch running .5 mile E of Scholes Wood hill-slope fort to Wentworth Park where it is well preserved, showing two banks and a medial ditch. 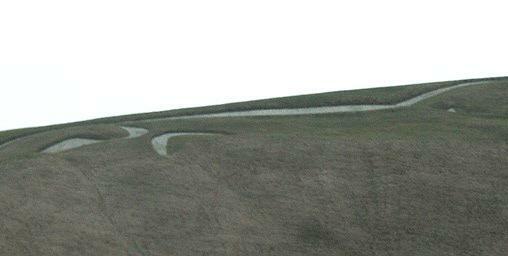 It bends E at SK420985, can be found in the S part of Wath wood and E of the A633; it is visible across Bow Broom and ends W of Mexborough hospital. The E branch crosses Greasborough and runs through the E end of Wentworth Park where it is visible until Upper Haugh. 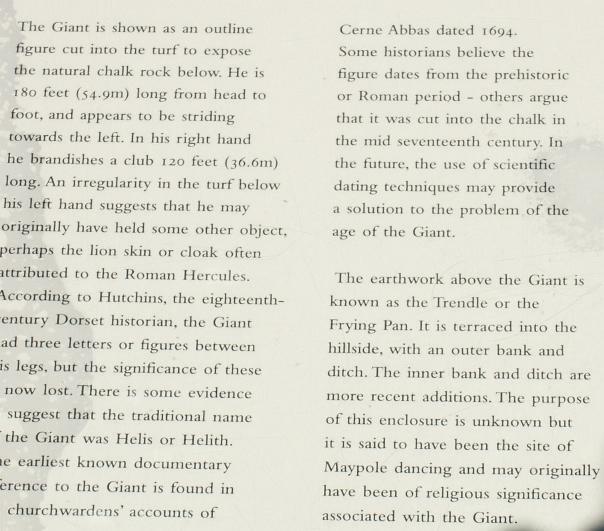 It bends here towards Piccadilly where it disapears at SK 448981.” Guide to Prehistoric England, Nicholas Thomas, 1960.